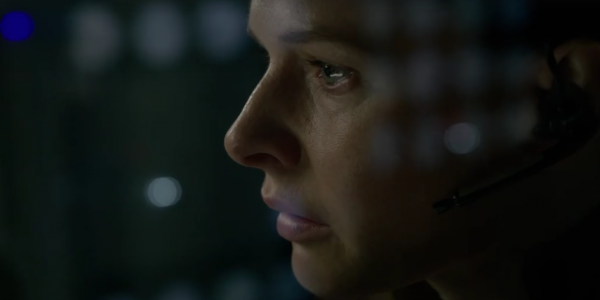 "An exceptional cast + the plot of Alien + the visuals of Gravity = Calvin?" Sampling can be defined as the act of taking something from another source and reusing it as something new. A practice that is utilized in the music, art and even in the film industry with varying degrees of success. Life proves to be a less than successful example of sampling of Alien, Gravity, Predator and Frankenstein. The International Space Station is the world’s attempt to bring nations together to increase diplomacy and education through experiments in biology, physics, astronomy, meteorology, and other fields. The station contains a crew of six who serve in different roles, but all knowing that their purpose is for the benefit of the world’s population. Commander Katerina Golovkin (Olga Dihovichnaya) leads the current crew of scientists who have been given the opportunity to study samples from Mars which include a new life form. Dr. Hugh Derry (Ariyon Bakare) is one of Earth’s leading biologists and he is beside himself with enthusiasm to find out all he can about the supposed first life form discovered outside of Earth. With all of the eyes of the world watching, the crew begins to see the creature grow into a new type of intelligence and they even allow the children of Earth to name it: Calvin. In light of the potential implications presented by this discovery, the team of scientists continue to perform tests until a minor accident occurs in the lab. At first, they think that Calvin has died, but quickly they find that the creature is very much alive and threatens the lives of the crew and life on Earth. If this sounds familiar, it can be said that the story and effects come straight from the Ridley Scott (Alien and The Martian) playbook. 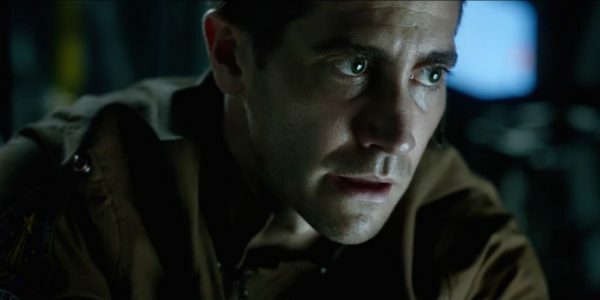 Director Daniel Espinosa (Safe House) has delivered a visually stunning space horror that sits in the same pocket of the originator of this space aged genre. Even with these styling similarities, there is potential to differentiate this space odyssey with the amazing cast within the space station. The problem is that good acting talent can be limited by the script that is provided for them and this one is a bit undercooked. The writing team behind Deadpool seem to think that Ryan Reynolds should be left to improvise his lines and the rest of the team must prove they all can cry on demand. The script also becomes quite pedestrian and outside of the conclusion, exceptionally predictable. This all could have been managed with effective camera work and on-screen pacing, but the extended dramatic pauses amongst the action become a detriment to the overall experience. Even with the lack of originality in concept, Espinosa does prove that he does have a good cinematic eye and has the ability to draw strong performances from his acting talent despite the weaknesses of the script. For the fan of sci-fi horror, the script and the claustrophobic atmosphere provide the necessary tension for terror. Due to the similarity of other films, things become exceptionally predictable and this unfortunately dilutes the tension and suspense. Jake Gyllenhaal and Rebecca Ferguson (Mission Impossible: Rogue Nation) do provide the strongest performances in this production. These performances are complemented by camera usage that provides the necessary discombobulation, not unlike the experience of Gravity. One thing that the Swedish director can be credited with is picking excellent films to sample from for his own version of terror in space. On the surface, Life presents as an appealing mixture of a great cast, a stellar writing team and a proven director, but the end result fails to deliver. It may provide the fans of the Alien franchise the needed sustenance prior to the release of Alien: Covenant, but it will prove to be a less satisfying option. They say that imitation is the finest form of flattery, but this reproduction proves to be a predictable and boring tribute to other great sci-fi horrors.